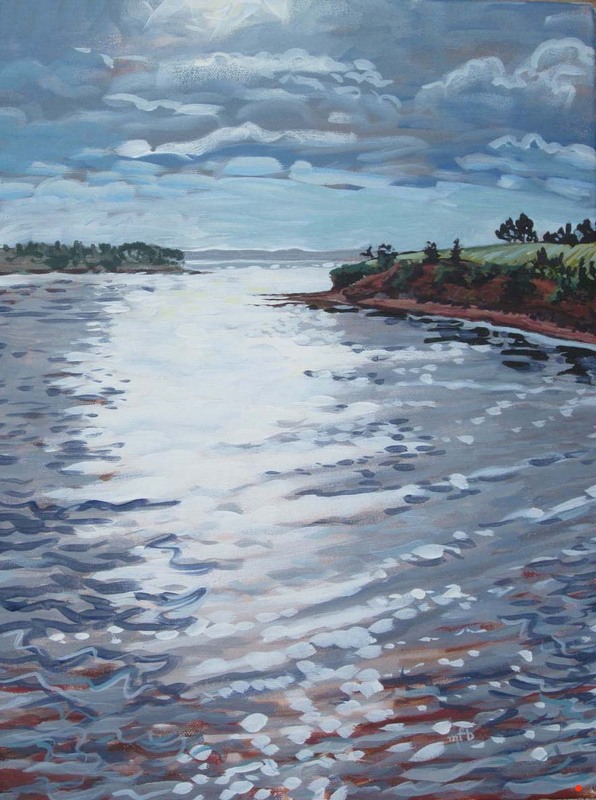 "The morning light reflecting on the water in Charlottetown harbour was so bright it was blinding. A cruise ship slowly passed by. It was so quiet. I was smiling out loud while painting. The rock is known as the reader's rock and to the right is Fort La Joie/Fort Amherst."